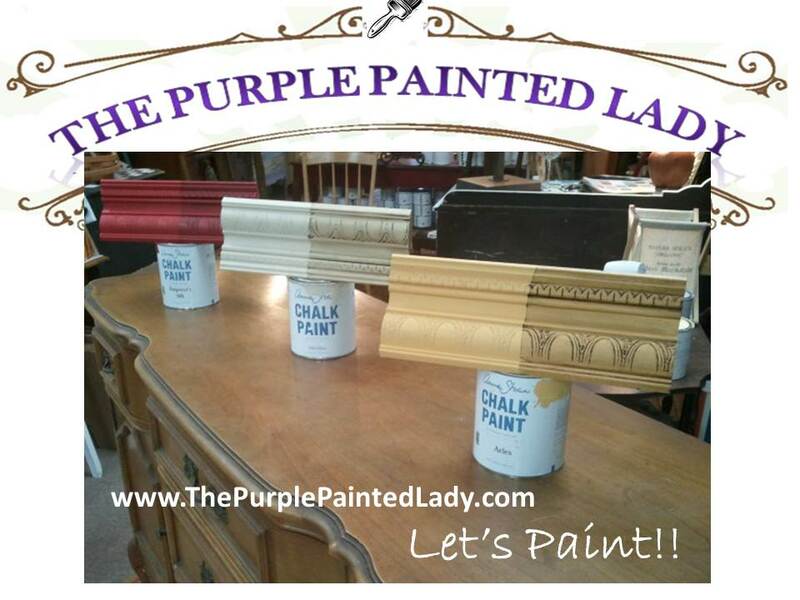 Starting now (September 8, 2012) – The Purple Painted Lady will be featuring a piece of furniture we are painting! Watch for our transformations! 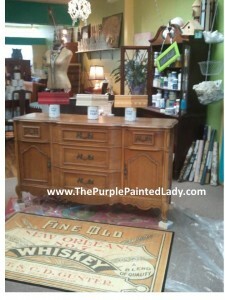 Paint that will be highlighted is both Chalk Paint™ Decorative Paint by Annie Sloan and Milk Paint by Miss Mustard Seed. Chalk Paint™ Decorative Paint by Annie Sloan colors that will be used on the buffet are Old Ochre, Arles & Emperor’s Silk. Then the whole piece will receive one coat of Annie’s Soft Clear Wax, and finished with Dark Wax. We will update this post with progression photos and “How To” information. Keep in mind- when you have a piece and have no clue what colors to paint it, first determine what room will it be going into. Draw inspiration from colors in that room and accessories or art that is in the space already. If you are starting from a fresh slate- go to Pier 1, HomeGoods and look for something that you love! Is it a coffee mug, a picture frame or a pillow? Buy it and use that as your springboard to develop the room around! This process is so much fun! Don’t force the progression and never settle for something that you only “like.” Find something that you LOVE! It could be due to the colors, the theme of the design or decor style. Stay true to yourself and not what is the latest fad in the decorating magazines. Your tastes are what they are and will probably be the same next year or at least similar- where design styles come & go. Hope this new continuous post idea helps you and makes you happy!!!! It does for me! 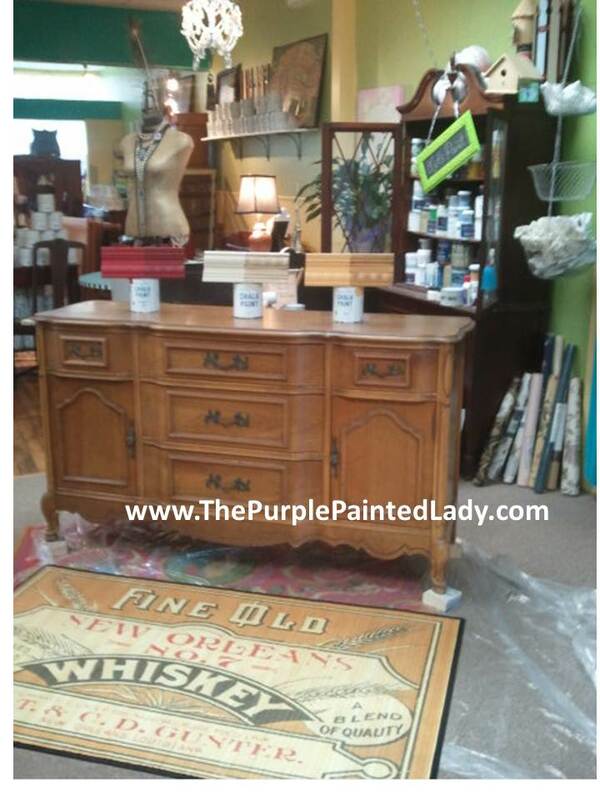 This entry was posted in Annie Sloan, Furniture, Projects by Tricia. Bookmark the permalink.